Something is going on with the building because they have been working on it inside and out for a few months now. Can't wait to see the results. 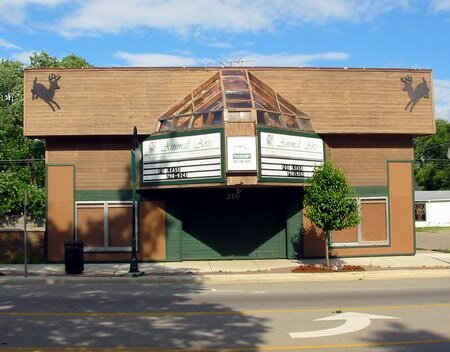 The Almont Theater was running family films until roughly the 1977/1978 time-frame. I remember taking my son to see Gone in 60 Seconds there and there were probably only 10 people in the audience. Shortly after that they tried running adult movies at midnight to boost revenue, but the city council put an end to that and the theatre. It was then converted to a drugstore, later they moved and Curves moved in, it has changed several venues over the past couple years. I lived a few miles down the road in Romeo during 1967-1972, during my high school and early college years. I was very interested in Altec Lansing A7 theatre loud speakers at the time. I had a book that showed a cut-away view of an A7 cabinet with some dimensions, but it was missing some critical dimensions that I needed to build one. I called up the Almont Theatre, and they were kind enough to let me go there before showtime and go behind the screen and take a bunch of measurements off of their speakers. I don''t remember seeing many movies there, but I''ve always thought well of them because of that. went to see cleopatria starring liz talor stude in line backed upto turies bar 200 feet away, in 1963. they had some big atraction for this little town that is not there any more. 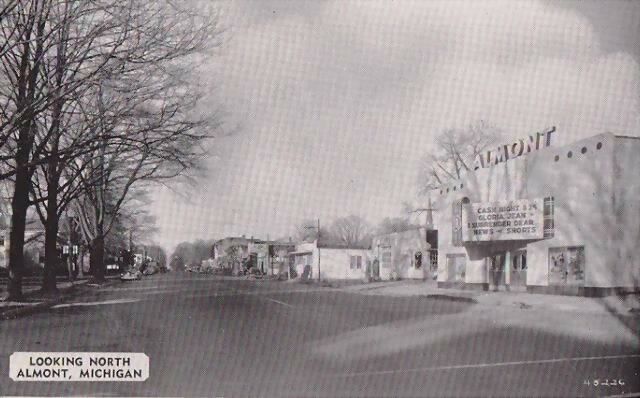 August 1958 - Bill Clark is taking over buying for and booking of films for Alex Dubovenko's Almont Theatre at Almont and for the two run by the Tesluck family, the Yale at Yale and Marine at Croswell. The Almont was used as a wildlife studio and is now for lease.